Study Bachelor of Business (Design and Marketing) at the University of South Australia (UniSA). Information for International students. We are ranked World's No.1 for Brand Management research2 and No.1 in South Australia for Art and Design3. Learn from marketing scientists who advise brands like Procter & Gamble, ESPN and Nestlé. Study two complementary fields and prepare for a diverse range of career opportunities in marketing with practical skills in digital and print design. Explore the creative elements of advertising and how to work collaboratively with graphic designers to create high quality marketing materials. Gain an understanding of evidence-based marketing and how to apply design principles to a range of marketing activities. Take part in our in-house Marketing Clinic and provide advice to small and medium-sized businesses under the supervision of marketing experts. High-achieving students can benefit from Vacation Research Scholarships with the Ehrenberg-Bass Institute for Marketing Science. UniSA Business School is in the top one per cent worldwide4 and has been awarded an overall five stars for excellence in the QS Stars Ratings 2019. 1QILT: Graduate Outcomes Survey Course Experience Questionnaire 2016-18 – Full-time Employment Indicator (Undergraduate and Postgraduate). Public SA-founded universities only. 2AFR BOSS Magazine, April 2018 – League of Scholars. 32019 QS subject rankings. 4UniSA Business School is one of just nine institutions in Australia and 180 globally to be accredited by EQUIS (from over 16,500 worldwide). EFMD, February 2019. This interdisciplinary degree combines two complementary fields to equip you for a specialist marketing career with skills in digital and print design. You’ll gain foundation knowledge in design and evidence-based marketing and learn how to apply design principles across a range of marketing activities. Your lecturers will also be the very experts who advise brands like Procter & Gamble, ESPN and Nestlé. Employers value graduates who can apply theory to real industry challenges. In this degree you’ll have the opportunity to gain real-world experience through internships, placements, overseas study opportunities, advanced masterclasses and more. The degree starts with core courses in business. These will give you a solid grasp of business fundamentals such as economics, accounting and business law. Elective courses are another key part of your business degree. 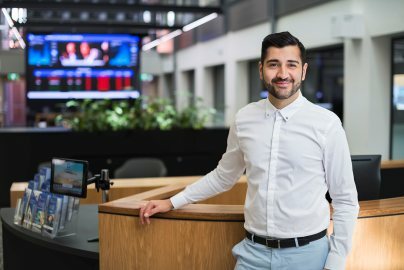 In your design and marketing specialisation, you’ll focus on areas such as digital marketing, design for publication, consumer behaviour, and computer graphics and imaging for design. 1. Not all compulsory courses are offered in each study period, therefore part-time students or students commencing in the mid-year intake should consult the timetable published on each course homepage to check availability of their courses. 2. Standard study period durations vary between UniSA Business School courses and School of Art, Architecture and Design courses therefore course commencement dates and/or end dates will be different. Please check the timetable published on the course homepage for each course for exact dates. 3. Students should choose their elective course from the relevant Electives list. Please note that not all electives will be offered each year. For each course you study, you will need to allocate time for various classes such as lectures, tutorials, workshops, seminars and practicals. Plus you will need additional hours to study in your own time to complete assignments, readings and projects and contribute to online discussion forums (independent study). A general rule, if you are studying full-time you would need to allocate 12 – 26 hours of study when at university and 14 – 28 hours of independent study per week. International exchanges and intensive study -tours open doors to new possibilities and experiences, and our Business School has strong connections with prestigious universities in Europe, Asia, and the Americas. 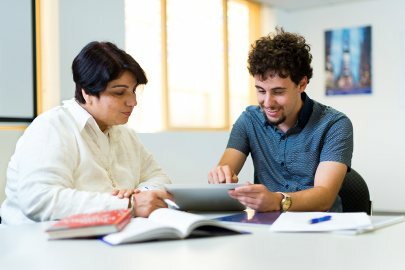 Travelling and studying with leading academic staff and your peers is a wonderful opportunity to develop first-hand knowledge of the international business environment. You’ll find the experience invaluable for your personal and professional development, giving you a global perspective. You will also learn about the creative elements of advertising and how to work collaboratively with graphic designers to create high quality marketing materials. You could apply for Vacation Research Scholarships with the Ehrenberg-Bass Institute for Marketing Science, or take part in our on-campus Marketing Clinic. The Clinic provides advice to small and medium-sized businesses under the supervision of marketing experts. I have over 30 years of business-linked experience in Australia and internationally and a strong commitment to achieving wider business literacy in the community, evidenced through my teaching and consultancies such as co-writing the South Australian Year 12 Accounting curriculum. 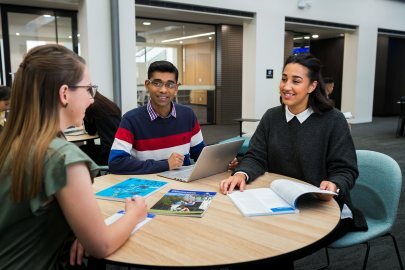 As the Bachelor of Business Program Director, I assist students to succeed in the Business School's exciting selection of industry relevant undergraduate degree majors offered in both Australia and Hong Kong. 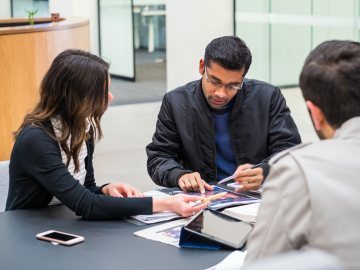 This degree focuses on the confluence of design principles and a deep understanding of how marketing small and medium-sized businesses require multifaceted employees, who can take key content needed by buyers and develop a website, brochure, poster or ad. This degree provides expertise in design along with a full business degree in the latest marketing, advertising and brand management principles.